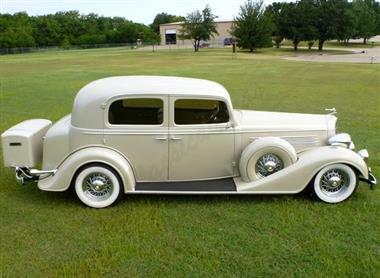 1934 BUICK Other in Arlington, TX for sale. 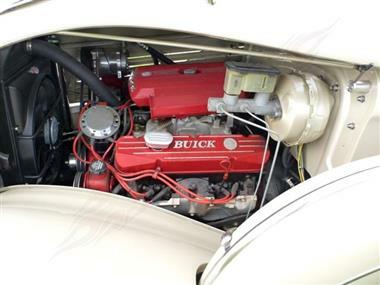 1934 Buick Sedan - Series 60 Class, elegance, luxury...these are all words that come to mind when looking out this beautifully done 1934 Buick Sedan Series 60. It doesnt matter where you park the car it is near impossible for anybody to walk by without stopping for a closer look. 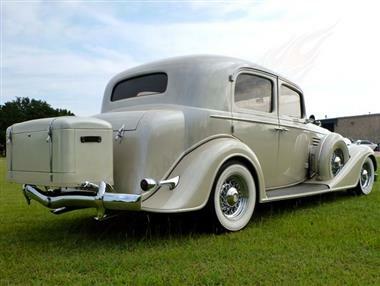 From wedding ceremonies to proms people cant help but want this car to be part of there special event. 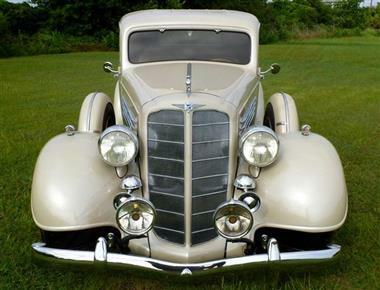 Painted in a beautiful Champagne beige pearl the car is a show stopper to see out in the daylight. This is paired with extremely well done chrome and stainless trim that shines just as perfectly as the pearl paint. All of the glass is clear and free of any damage. Words really cant describe how stunning this car is. From the ornate chromed horns on the front to the latches on the trunk it is really a work of art. The spoked wheels are perfect for this type of classic and each, including the two spares, have a beautiful finish. All are wrapped with wide white wall tires and have Buick center caps. Mechanically the car is very well built using all nice components. 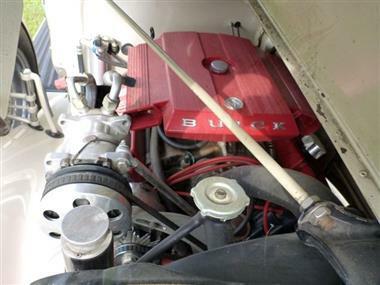 In a lot of these types of cars you pop the hood to find chevy motors but thankfully this one was built utilizing a 455 Buick V8. It runs very strong and it is nice to see an updated car that still stays somewhat true to its originality. You will find features like that every where. 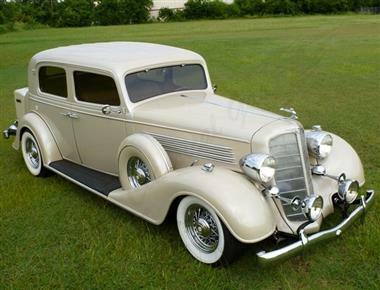 The car was built to give you some modern luxuries while still maintaining the classic 1934 feeling. The window cranks for example are the original style chrome cranks but have been wired to operate the power windows. Now thats cool! Combined with the motor is an automatic transmission which shifts very smoothly. Other nice luxuries include the power brake system and power steering which make the car extremely comfortable to drive. 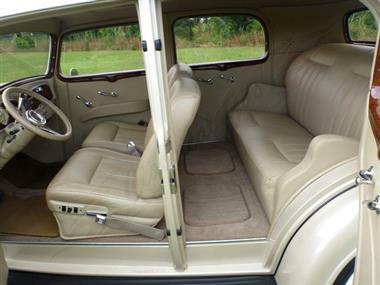 The interior is absolutely gorgeous from the beige leather to the wood grain window frames and dash. It was very tastefully done and matches the elegance of the exterior. The front and rear (suicide) door open up to give complete access to the beige leather seats which are extremely comfortable. The front bench seats are power controlled and fully adjustable to allow plenty of leg room. A tilt steering column is in place and topped with a Banjo steering wheel that has been wrapped in matching Beige leather. To the column is mounted the shifts and turn signal controls where you will also find buttons to operate the cruise control. 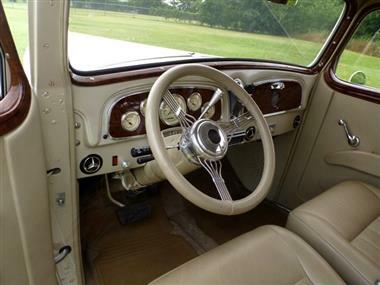 The dash is topped with wood grain over the glove box door and surrounding the white nostalgic Classic Instruments gauges. The Vintage AC/Heat system is also mounted to the dash as well as the after market AM/FM/CD player. You dont see many of these cars on the market and when they do they dont stick around very long. Especially if they are this well done. Take this beauty home for $84,000.00!